Bliss has me wanting to deep dive into Shayne Oliver's work. I absolutely love this Swiss Army knife of a garment - it seems to do everything at once in a way that is not taking itself too seriously. It really is a fun piece, so please do be sure to watch the videos above. 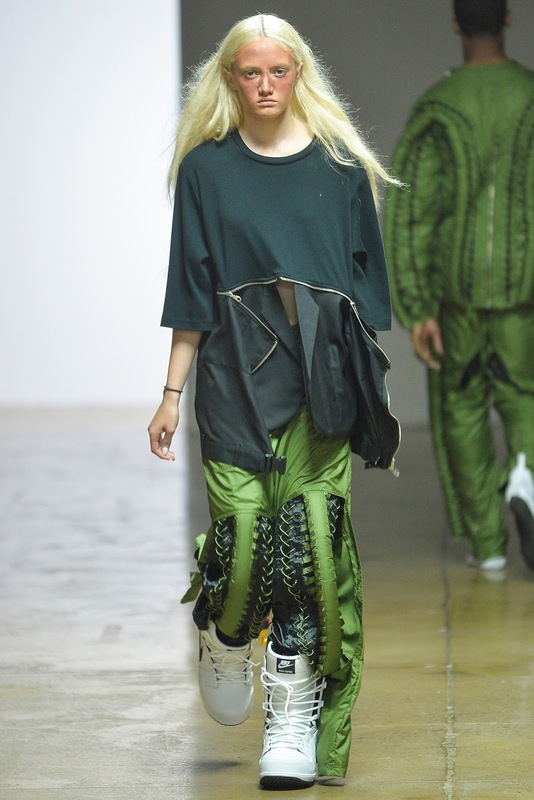 I will admit that I have never paid all too much attention to Hood By Air, because my overriding image of it was the printed slogan tops that used to be the fuccboi uniform de rigueur (perhaps we can get into a few theories about what it is nowadays in a future post?). But seeing this garment made me appreciate just what work Oliver was actually doing, away from the Instagram- and streetstyle-friendly pieces. I always love going back and being able to explore a designer's work, and because Hood By Air is now essentially defunct, there is a neat body of work to be studied. This is exactly the type of content I want to consume more of this year. Check out the full channel here!